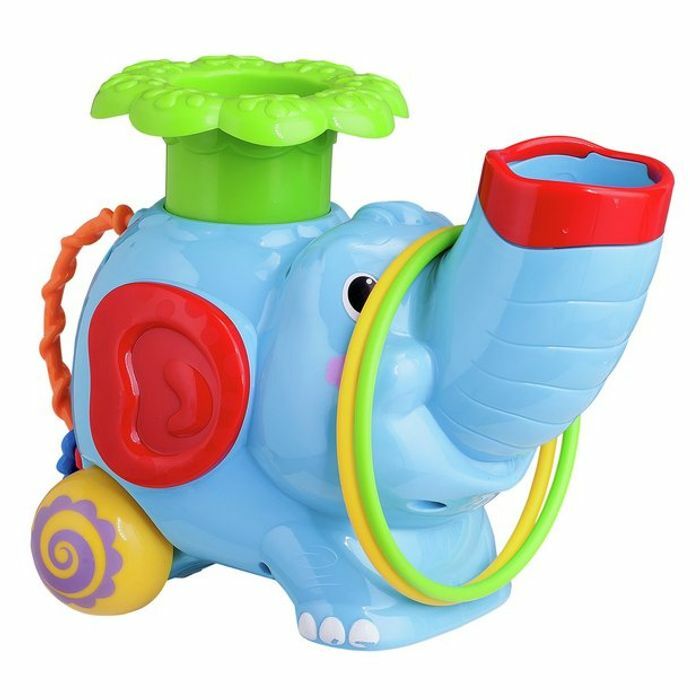 This pop & hoop elephant is an amazing toy that your children can play with in two different ways for hours of fun. Developing their hand-eye co-ordination as they go they can either throw the hoops over the elephant's trunk or load the balls into the trunk, push his back and watch the balls fly out of the top. Includes 2 balls and 2 hoops.